St Andrew’s is a caring and supportive community. We value our diversity and see it as part of our strength and attraction. We welcome everybody no matter where they see themselves theologically. We encourage people to think for themselves and accept others who might think differently. 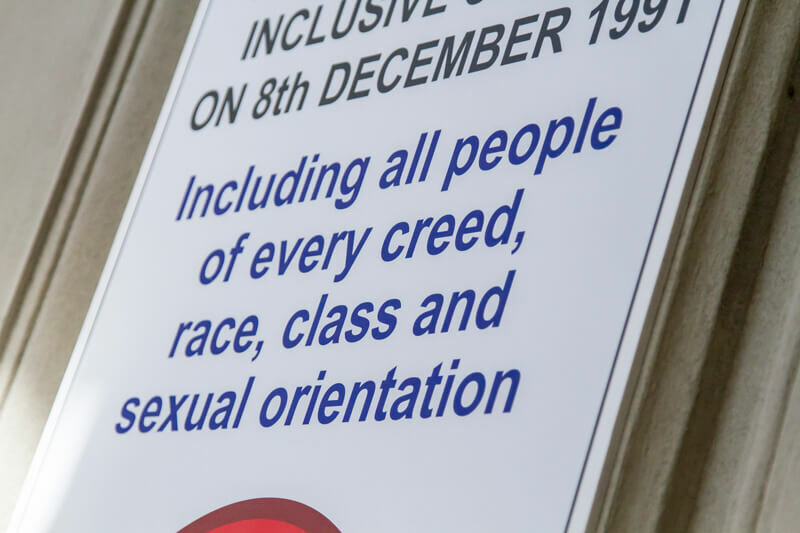 As a congregation we are committed to being inclusive, progressive and a place of peace. The Glamaphones take centre stage celebrating St Andrew’s inclusiveness. 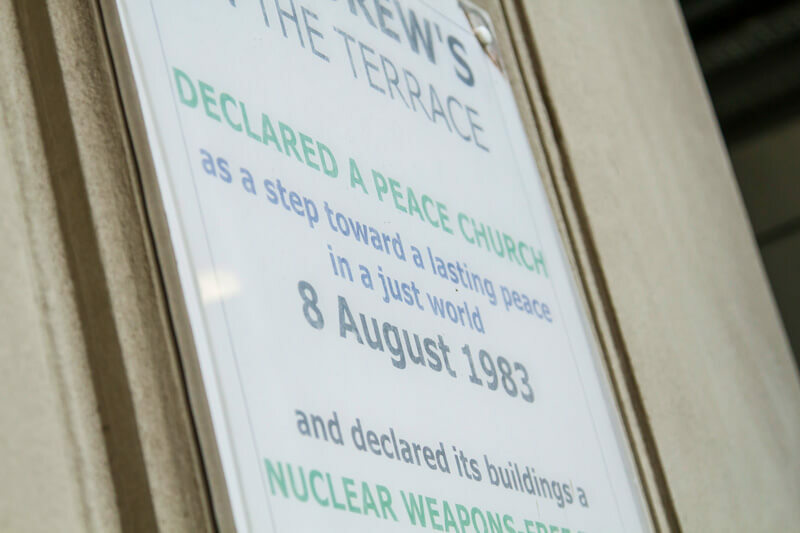 St Andrew’s was declared a Peace Church on 8 August 1983 as a step towards a lasting peace in a just world. On 18 March 1984 we declared our buildings a nuclear weapons-free zone. We continue to be actively involved in working for peace and host Peace Movement Aotearoa. Whether it’s for large planning meetings, or small creative brainstorms, St Andrew’s Centre is a truly inspiring place to meet. Vivien’s role is to support the music used in our Sunday Gatherings. 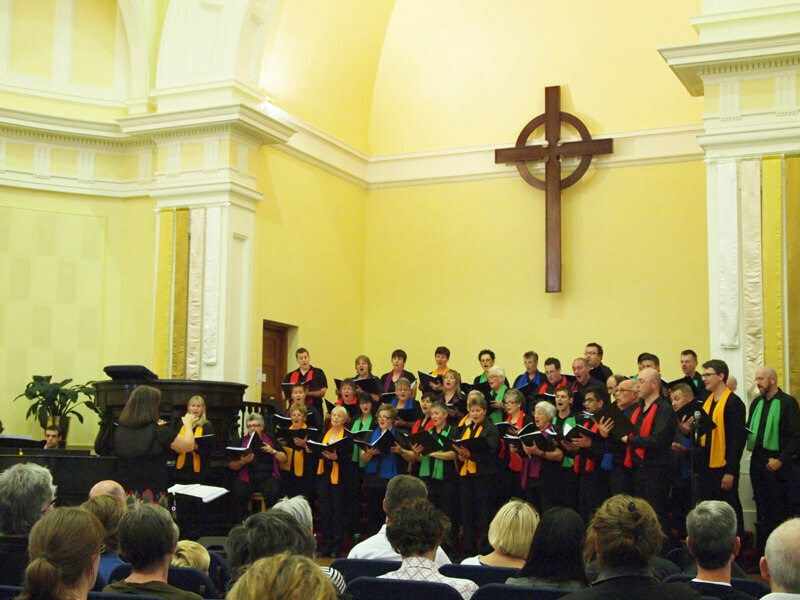 If you would like to enquire about holding a concert at St Andrew’s on The Terrace, please contact the St Andrew’s Centre on 04 472 9211 or email reservations@standrews.org.nz. The Rainbow Room Coordinator role is to provide a children’s programme during the Sunday Gatherings. They also work with the families associated with the St Andrew’s community. We welcome everyone as part of our community. If you would like to connect more formally there are three options to choose from. You can become a member, an associate or be part of the St Andrew’s whanau. 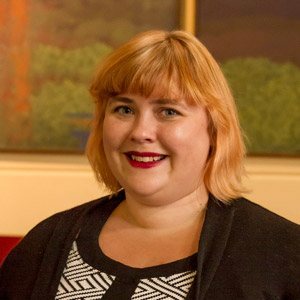 Talk with our minister about the options and their implications. 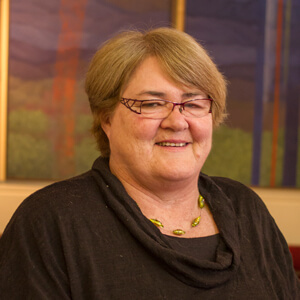 Becoming a member or an associate means you become part of the Presbyterian Church of Aotearoa New Zealand (PCANZ) and can vote for changes in the St Andrew’s community. Becoming part of the St Andrew’s whanau means we will keep you in touch with what’s going on but you don’t have to become part of PCANZ. You won’t be able to vote or speak in formal church meetings but there are many other things you can do as a member of our wider community. Download our welcome pack for more information.